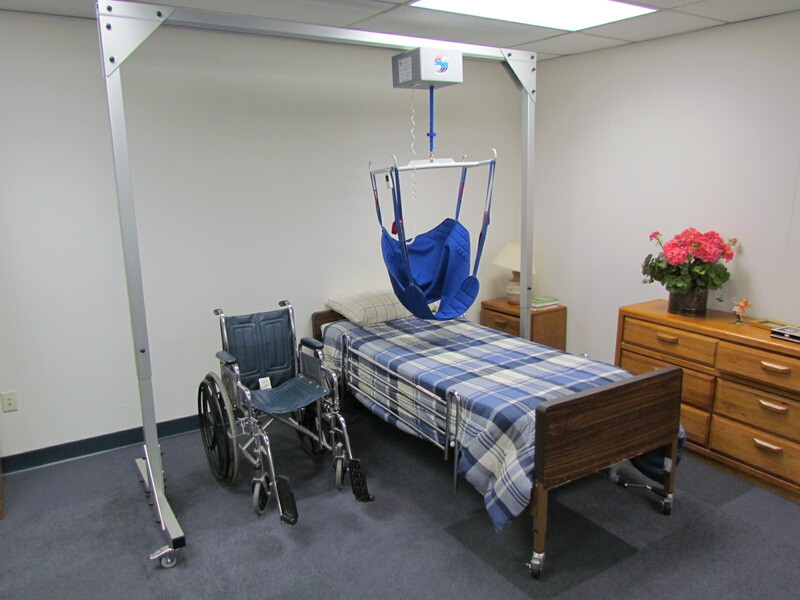 The Traxx Mobility Systems Titan 500 Overhead Patient Lift provides relief for home health caregivers transferring patients or loved ones in and out of bed. 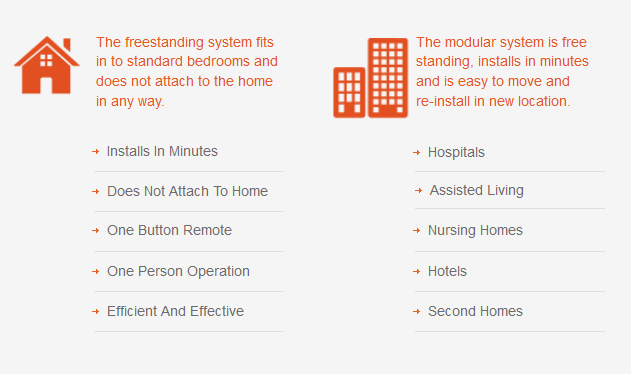 The unique design allows a single caregiver to effortlessly transfer a patient by using a simple overhead track that does not attach to your home. The heavy-duty lift motor is powered by rechargeable batteries that can run for days in the case of a power outage. Our Titan 500 Lift Package comes with everything you need, including the freestanding aluminum frame, lift motor with batteries and charger, four point lift bar, remote control and your choice of sling size. We have recently redesigned the frame to be lighter and easier to assemble. We have also added extra features to help ensure the safety of your patient. Visit our website, find us on Facebook or view our YouTube channel for more information. Our simple and affordable overhead electric lift system is easy to use and can be set-up anywhere. The modular frame system can be taken apart and moved to another location. A single caregiver can operate and moved a patient without stress or strain. 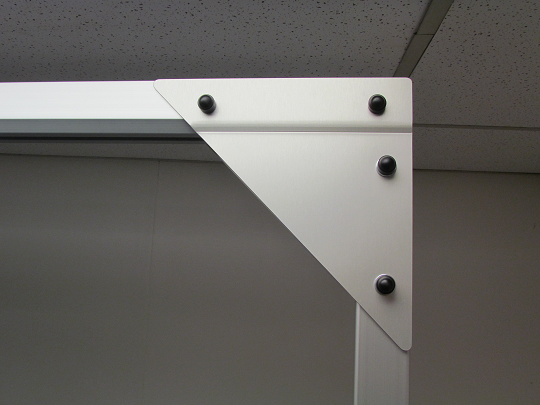 The Titan 500 frame is made out of the same strong and durable aluminum that the overhead tracks at hospitals are. 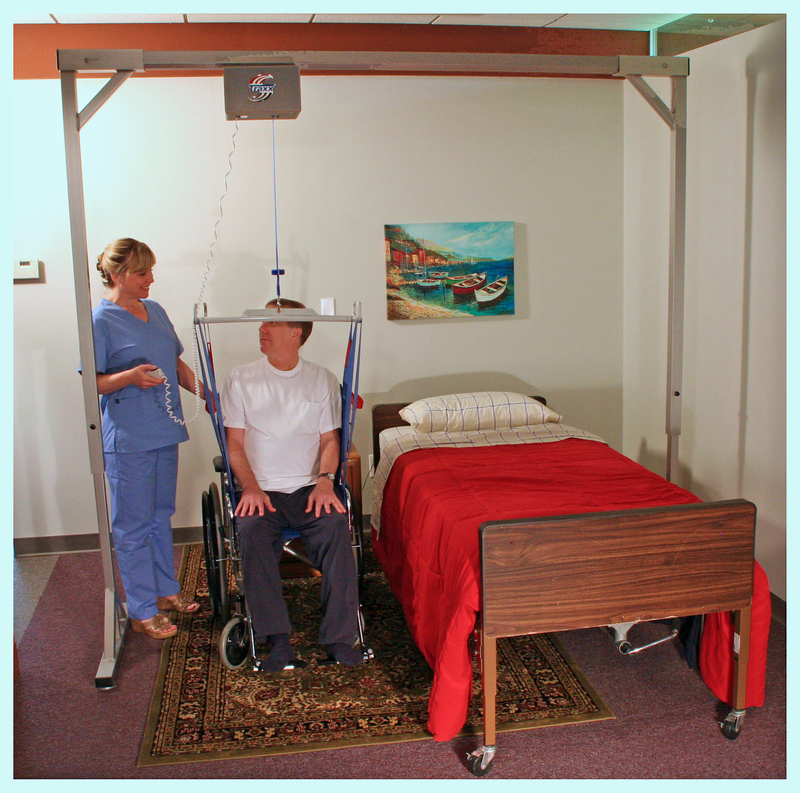 Our system comes with two legs that allows the system to be placed over the bed, allowing the patient to be moved to a wheelchair or other device with ease.